This week we are looking at how some sectors of Christianity focus on the end of the world, to the exclusion of redeeming the present. Historically, Christians have taken an interest in alleviating human suffering, and have been involved in human rights movements from abolition and temperance to disaster relief and, more recently, Black Lives Matter. Yet some sectors of Christianity are much more concerned with saving people from some end-time-calamity in their future life, than they are with people’s present life, and even those sectors that do alleviate present suffering typically focus on individual change rather than structural change. The traditional Christian effort in regards to poverty is just one example. The effort usually takes the form of charity such as giving people food for today, yet not addressing the systemic causes that created their hunger to begin with. I’m not saying that charity is wrong. It’s vital. It simply is not enough. More recently, some Christians have begun offering financial education and seminars aimed at enabling and empowering the poor to succeed within the present economic system. But these seminars don’t ever look at the financial system itself and ask whether this system is, in fact, just. Both the service and education approaches inadvertently place the blame for poverty on the victims themselves, i.e. “It’s your fault you’re poor.” Sometimes a person’s individual choices do cause them to suffer. And sometimes there is a much bigger picture that limits the choices that person can make. Either way, it is victim-blaming to focus on delivering folks from personal sin and leave untouched the sinful social structures that cause their suffering and oppress them. Sin moves both individually and socially, and grace also moves both individually and socially. Far too many sectors of Christianity don’t even go this far, and focus solely on saving people from affliction at the end of time, without regard to what afflicts them in this right now, today. That is directly opposed to the approach of the gospels’ Jesus. We do see Jesus liberating those he came in contact with from those concrete things that oppressed them in present time. An End-of-the-World focus tends, too often, to allow for laziness in matter of social justice, now. An End-of-the-World focus tends, too often, to preserves the present position of those benefiting at the expense of others from the current status quo. To see Jesus as Present Liberator, not merely End-of-the-World Savior, let’s look at Mark’s stories of the demoniacs. First, a few words about the apocalyptic worldview of the early Gospel authors. Writers of the early gospel stories subscribed to an apocalyptic worldview, which means that they saw this world as the battleground for the cosmic forces of good and evil. The apocalyptic world view possessed four tenets: dualism, pessimism, judgment and imminence. Within the Apocalyptic world view the world is dualistic, meaning it has two parts: this world that we see and the cosmic world that we do not see. The cosmic world is composed of good cosmic powers and evil cosmic powers, each power works through earthly participants, and the cosmic forces of evil are the enemies of a good God. For first century apocalyptic Jews, these evil cosmic powers were sin, death, demons, and Beelzebub (or the satan). According to this view, the historical earthly participants with these cosmic powers were Babylon, the Persians, Greece, and Rome: all of these historical earthly powers were oppressors of the weak. Within this worldview, the cosmic evil forces are presently in control of the earth (see 1 John 5:19) Accordingly, those who choose the side of good will suffer and those who choose the side of evil will prosper. Those who subscribed to this worldview believed in the eventual overthrow of these evil forces, yet also believed there was nothing we can do in the meantime. There were variations on this belief, though. In the time of Jesus, the Pharisees believed they could hasten the eventual overthrow of evil through obedience to the purity laws of the Torah. Their pessimism produced the view that there are two ages: the present age where the forces of evil are in control, and the age to come when these powers would be defeated, Earth would be liberated, and those on the side of good would be vindicated. For now, according to this belief, all we should expect is that the world would get worse and worse until the very end when the suffering of the good would be traded for vindication. Those who held to an apocalyptic worldview believed that the age to come, and all of the events associated with it, was just around the corner. This worldview had positives and negatives. The positives were that it took evil seriously. There are evils that are bigger than any of us individually. And it provided hope that there was a cosmic force for good that would eventually put things in this earth to right. The negative was that it tended to produce a moral complacency in the face of injustice, violence, and oppression here and now. In other words, there really is nothing we can do to change human suffering around us until the age to come, so the best we can do is try and survive. Today, our culture mostly subscribes to a naturalistic world view, which means that many people see this world as the result of observable, measurable forces that have repeatable impacts on the things and people in the world. This view is not dualistic, but assumes that everything that happens on this planet can be explained by natural causes and effects. The early canonical gospel authors were not naturalists. They drew from the worldview of their time, the apocalyptic worldview. This is important to understand because it explains much of what we read in the gospel stories they wrote. They believed that in Jesus’ life and teachings, which climaxed in his execution and resurrection, the apocalyptic event they had been looking for in the future had finally arrived. It had happened! I do not believe that someone has to hold the apocalyptic world view to find benefit in the Jesus story, today. Someone can hold a naturalistic world view and still gain much from the ethical teachings of the Jesus of Matthew, Mark, Luke and John that will help create a safer more compassionate world for us all. Most Christians today subscribe purely to neither an apocalyptic nor a naturalist world view, but a hybrid of both which is influenced by the narratives of their religious tradition. On a spectrum of apocalypticism at one end and naturalism at the other, the more fundamentalist a Christian is, the more they will hover near the apocalyptic end of the spectrum; the more progressive a Christian is, the more they will hover near the naturalist end. Both will likely draw at least some elements from the other worldview as well. 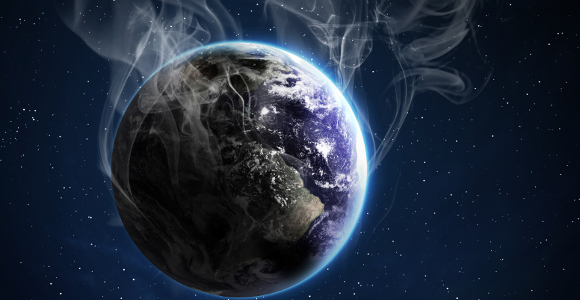 I’ll be contrasting the naturalistic world view with the apocalyptic world view in next week’s eSight. What I would like to contrast this week is the apocalypticism of the early church with the apocalypticism of many fundamentalist Christians today. There is a stark difference between the two. The Christian apocalyptic world view of today typically holds to some level of dualism (cosmic forces of good and evil working through earthly powers and systems.) It, too, looks toward a future judgment/vindication that is referred to by many who hold this world view as “the end of the world.” The view also holds that this “end” is imminent. It is just around the corner. We do not have much time left. Lastly, this view also tends toward a pessimistic passivity. Things are just going to get worse and worse. There’s nothing we can do until the end, and Jesus comes the second time to set things right. Things will not any get better till the end of the world arrives. This contemporary form of the apocalyptic world view, though, is a subtle denial of Jesus. The authors of the Jesus story did subscribe to an apocalyptic world view as well. Yet there was a difference. The difference between their apocalypticism and contemporary apocalypticism is that they believed that in Jesus, the apocalyptic event they had been looking for in the future had finally arrived. It had happened! They were no longer focused on some future event. 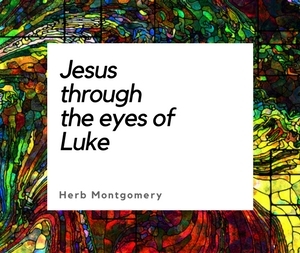 The authors of the Jesus story in the New Testament were looking at the present through the lens of the life, teachings, execution, and resurrection of their Jesus. Christians who hold a contemporary apocalyptic world view today are still looking toward the future event for world change. Many of those are remaining passive until those events take place. The writers of the Jesus story believed that in Jesus, the future apocalyptic event, in the form a mustard seed, had arrived and they were actively working to participate in Jesus’ liberation from suffering here and now! They were no longer waiting on the future, the Kingdom had come! Holding to an apocalyptic world view, the gospel writers believed Jesus was their long awaited Messiah who had ushered in the Age to Come. (It had come in the form of leaven placed in dough.) Jesus was their liberator from all things that oppressed them, both cosmic evils and those force’s earthly collaborators, specifically Rome. These writers saw Jesus as their Liberator from all things that oppressed them then! Mark’s stories of Jesus performing demoniac liberation are classic example of earthly acts of liberation from cosmic forces of evil. For those modern readers who subscribe to a more naturalistic world view, the demon stories of Mark (found in Mark 1:32, 34, 39; 3:15, 22; 5:18; 6:13; 7:26, 29-30; 9:38) are intellectually and philosophically troubling to say the least. But when we read them as part of an apocalyptic world view and their view of Jesus as arrival of the fulfillment of that worldview, we see the importance of the demoniac stories to the early Jesus followers. (As well as the stories of raising people from the dead, forgiving peoples sins, and healing those who were sick). Jesus, to them, was not a post mortem savior, nor a someone who told them to keep looking toward the future. Jesus was to them a present liberator from all things that concretely oppressed them now! These followers saw Jesus as the Earth’s liberator from the cosmic forces of evil. As such, it was important that Jesus demonstrated power over theses cosmic demonic forces. Apocalyptic Liberation (the Kingdom) Has Come! Whether someone subscribes to a more naturalistic worldview or a more apocalyptic world view, the Jesus story can still be relevant. Regardless of how one explains human suffering, whether it be through natural causes or cosmic evil forces, Jesus is the liberator from things that cause oppression, violence, and injustice now! The gospel is not as much about an afterlife, as it is about freeing people from anything that oppresses them here and now. To follow Jesus means to participate in Jesus’ work of liberating people from things that concretely oppress them in this world. In short, the gospel is the good news of liberation now, not an announcement of good to come one day. The gospel is not a end-of-time fire insurance policy over which Christians must now argue over the amount of the premium to be paid. The gospel is the good news that the seeds of liberation from things that concretely oppress now are to be found in the teachings of this nonviolent, Jewish revolutionary—Jesus. As we gather together around Jesus’ shared table, the teachings of Jesus call us to live out the values of his gospel in our community, first within our HeartGroups and then within the larger communities outside of our HeartGroups. A couple of weeks ago I asked you to list what those within your group needed to be liberated from and to practice ways you could come along side each group member in living out the values of the Jesus story. 1. This week, take inventory of how you are doing. 2. Acknowledge areas where you need to make some adjustments. List areas you could be doing more in, things that didn’t work, and things that you choose to do but did not yet follow through with. 3. Adjust you what you have been doing to better meet the needs of those in your HeartGroup. Don’t be afraid of adjusting again whenever you feel that what you used to do is no longer working. Again, the teachings of Jesus contain the seeds of liberation, now, not later. Like mustard seeds, they will grow if we choose to water them. Wherever this finds you this week, keep coming to the shared table. Keep endeavoring to follow the teachings of Jesus. Keep living in love—until the only world that remains is a world where love reigns. I’ll see you next week when we take of look at the strengths and weaknesses of the naturalistic world view for a Jesus follower.